Our XTSQ line of tilt bed aluminum trailers takes three popular sizes and adds a partial length quickslide. With additional features like a specially molded wiring harness and a tilt bed tensioner system you can be sure that every detail has been crafted to meet the unique needs of snowmobile hauling. 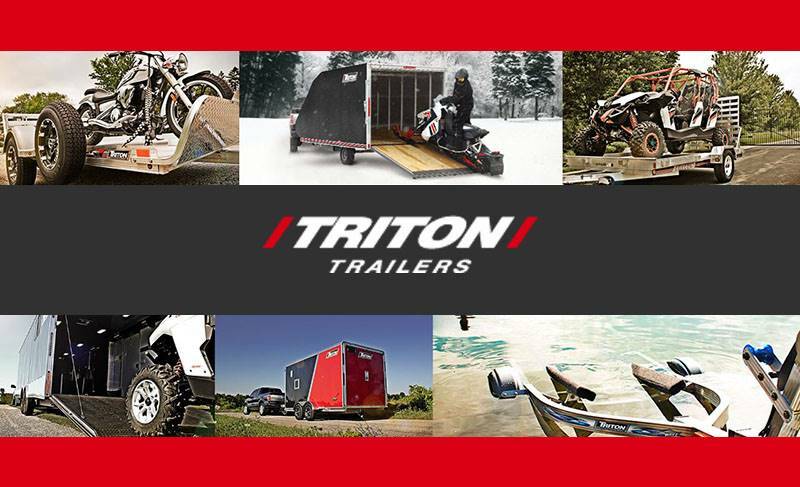 Triton offers the same high standard in snowmobile covers, a great addition to an XTSQ trailer. Be sure to request a quote from your dealer when you find the model you’re looking for. Wide 101 in. bed width. Partial deck length Quickslide™ channels for adjustability. W/O Brakes - 1,735 lb. W/O Brakes - 2,200 lb.